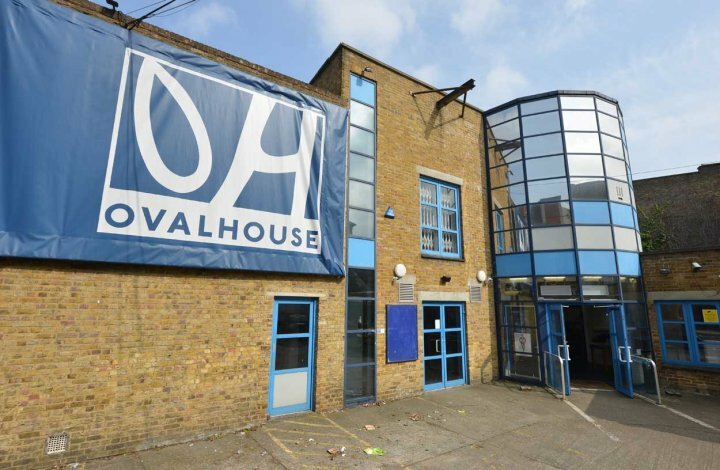 Ovalhouse is a lively theatre on the Kennington Oval, opposite the famous cricket ground. Ovalhouse has been known for its support for artists - professional and young people - for over 50 years - commissioning new work that responds to today's social and political issues, and work that reflects the cultural diversity of its local community. Kennington Road Post Office, Kennington Lane Tesco and Vauxhall Cross. For disabled drivers only. On-street parking nearby (free after 6:30pm). We are not in the congestion charge area. If you would like to see the auditorium prior to the show, or have any other requests that would make your visit more comfortable, please let a member of our staff know or call 020 7582 7680.